VH1 Divas was held last week at the Brooklyn Academy of Music in Brooklyn, New York. Needless to say everyone looked great. My only issue was with Kim from Real housewives of ATL. WHY? Can someone tell me why is she getting so much cosmetic surgery. It looks horrible. 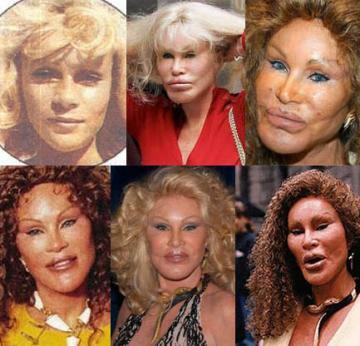 She must be trying to out beat out Jocelyn Wildenstein. She was better looking before. I personally think she didn’t need any surgery. But if you got it, I guess you spend it…and recklessly at that…Kim, wrecked up her face BIG TIME! I mean, I am not totally against cosmetic surgery. Some women want it for personal reasons. But ladies, I constantly converse with males for their perspectives on females. Most men want a natural looking female. They want to see you without the make up, the real you. So do yourselves a favor ladies, always make sure the guy you date sees you with out the make up, with out the weave, etc. Don’t suddenly surprise them one day and have the poor guy think that he woke up next to the cowardly lion. Do you know Wendy Williams said her husband has never seen her without her weave or wigs? Not good!!! The day he does see her, she might be getting them divorce papers. Call it what you want, I keep it 100 with y’all! On the other hand, NeNe looks fabulous.